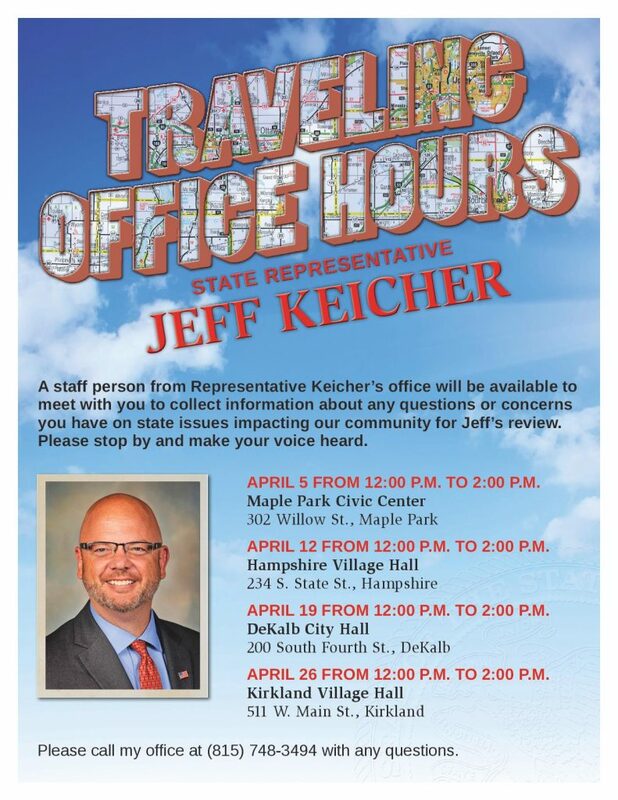 Come meet with a member of Representative Keicher’s staff at Kirkland Village Hall on Friday, April 26! Share any questions or concerns on state issues or pending legislation. Representative Keicher will personally review your feedback and get back to you.